This hilly treestand is a unique natural feature, with depressions 5-6m deep and steep slopes, formed thousands of years ago by receding glaciers. The glaciers left behind large chunks of ice which eventually melted, leaving large depressions in the landscape. The treestand is adjacent to a playground and is enjoyed by the surrounding community. This natural area is best accessed via Falconer Rd., either at the northwest end of the treestand or from the playground at the southwest end. 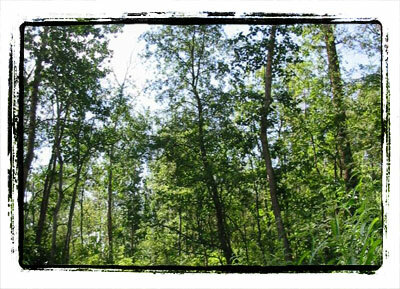 There are unimproved trails through the natural area. 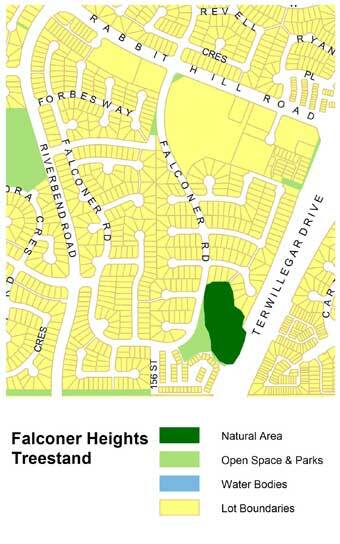 The Falconer Heights Treestand provides habitat for a variety of bird and mammal species. The site has some interesting topography not usually seen in the tableland natural areas which provides some excellent viewing opportunities.